This is my favorite quote among all the other worthy quotes from John Green's novel, "The Fault in Our Stars". It may be another typical sad romance novel, kind of reminds me of Eric Segall's "Love Story". But despite its sad undertones, I still ended up reading it for two reasons: most of my schoolmates were reading it or have already read it before news of the movie adaptation came to light, and second, I want to know why it was called "The Fault in Our Stars". Looking at the love story of Hazel Grace and Gus, the kind of life lived matters more than how long you lived. How you love makes an impact despite the uncertainties of life and the end that awaits us all. We've all been handled with trials and some of these may have hurt us. 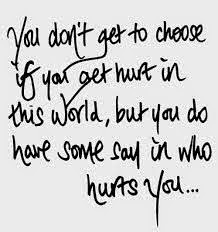 Like what Gus said in his letter to the jaded writer Peter Van Houten, a person still has a choice of how to respond to hurtful things that's a part of life; you either grow bitter or you choose to be better despite what happens to you. I understood now why it's called "The Fault in Our Stars". Stars in the universe are doomed to die out sooner or later. It's the same with us who's living. But despite the fault that is present, despite the imperfections, shining as bright as you can be and being a light to others will always leave an indelible mark. What does it mean to be simple? 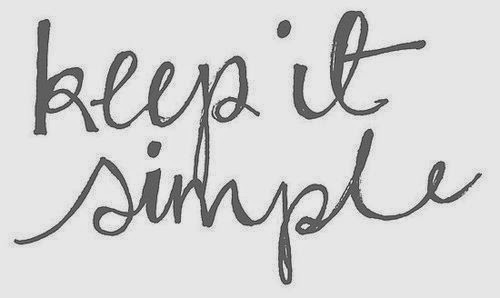 "Simple" is such a simple word itself, but with many different meanings attached to it. It depends on the how the person understood what simple means to him/her. What is simple for me? Simple is when you live a life that is free from too many wants that can't be attained. Of course, who doesn't want to be rich? I do want to be rich. But in reality, I learned to see that rich isn't limited to having lots of money. Rich can also mean having good friends, happiness, and being thankful for what you have. You can have everything in this world and still not be happy, while those who may not have much can be happy as a rich man. There are times we do get envious, but always remember that getting what you want means hard work. Being envious too much means that you don't know how to make yourself happy and you take blessings for granted. Sometimes, people complicate things for themselves. I learned while growing up that you can learn to accept the things you can't change and you have it in you to change things that you can. This is why the Serenity Prayer is my favorite prayer. I learned that you can change your life even if you can't change the entire world to a world you want. That's how it goes. These thoughts simplified my own life. Sometimes, it's still complicated. But I just take a deep breath and tell myself that I can face things and get through. Random fact about me: I used to write for our high school publication. While I never reached the rank of being an Editor-In-Chief or one of the student heads of that publication, I did learned a lot about writing, time management, and getting along with others. I'm glad I joined the staff of our paper, even though at first, I was hesitant to do so. 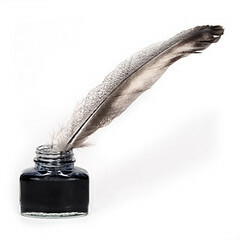 I always loved writing, but I only kept it to myself. Until one day, I joined a writing contest and I unexpectedly won. Then the head of the school paper, my English teacher, convinced me to join the publication staff, since they were on the look out for student writers. I submitted another piece (a news one), and I got in. It felt good for me to be able to write and be seen through the class paper, but at the same time, I felt intimidated being with the student staffers. Most of them were really intelligent, in the honors' list, debaters, and also joined inter-state writing competitions. During meetings, I would quietly sit in a corner and just agree to what everyone else was saying. I was that mousy then. My life as a student writer at first was: write something, submit to the EIC, proofread if needed, and then submit again. I never really do a lot of talking with my fellow staffers. I'm glad it changed when I bumped into my EIC at the local diner one summer break, and we talked over bowls of ice cream sundae and cheesy fries. She was fun to be with, and though she seemed intimidating at first, I learned that she was open-minded, smart, and friendly. She told me that I've been doing well in the school publication, and she encouraged me to hone my writing skills. The next academic year, I learned to become more open with the other students in the staff. Soon, I got invited to parties and out-of-town trips. Being a school publication writer probably influenced my decision to choose my college degree. I'm glad that I wasn't that doe-eyed anymore when I took up Lit for my major. I am still open to learning about writing, as you always have to grow and improve. Joining the student publication and writing for it enriched me in ways I never expected. I remembered keeping diaries as a grader. I think I had about 3 diaries written in-between Grades 3 to 5. I saw it again inside my bedside drawer when I went home for spring break. All three of them had locks, and I while I couldn't open the other two (because I lost the keys), I managed to unlock the other diary, written when I was in fourth grade. I laughed at the entries I wrote in there; about my terror teacher, the girl I didn't liked in class, and the boys who used to tease me. There were also some poems and short stories in there. One was about my terror teacher in Math (again) and a short story about girls and cooties. I really had a ball laughing at my childish diary entries. I did outgrew some of my childish ways. I learned to deal with different kinds of people and get along with the boys. I did ended up being "one of the boys" who can play ball and climb trees with them. And that girl I didn't liked in school became my life saver in sixth grade, when she resuscitated me from drowning in the town river during summer break (many thanks to Hilary because of this). In short, life gives you unexpected things. It may be good or bad, but the best thing is, you do some growing up after experience. I did outgrew my diary writing ways. I'm glad and still mortified that I kept them. I think this is a reminder of how far I've gone, and the childhood days when I was carefree and naive. Reading my old diary did made me smile. There are times that I do feel alone. Times that I feel wherein I have to exert more effort in reaching out to others. It's not that I'm totally crippled when it comes to making friends; it's always been natural for me ever since I was a child. But as time passed by, I found out that it's more of trying to fit in and blend with the crowd. Being self-conscious made me this way, aside from the fact that I experienced a mild case of bullying during senior year. Yes, I was bullied. But it's more of snide comments and being talked about in the ladies' room. I'm glad someone helped me out and defended me from the mean girls, because I was too helpless back then to fight for myself. I didn't know what I did to get them worked up on me. Maybe it's because I was on the honors' list. That friend surely helped me out and told me that I don't have to be ashamed of being "nerdy". That got me through the healing process. And I realized that I don't have to change just to feel accepted and get into a crowd. Well, I'm glad I'm over it now. One of the bullies actually apologized to me during our high school grad day, and I'm thankful for that. Being angry can be tiring. I focus instead on what I have now. My friends may be a handful, but they're good to me. And I'm bound to meet other friends later on. I accept the fact that I'm introverted. Even if I like being alone, I still like having friends. I attract the good people, and I'm lucky in the field of friendship. I don't feel so alone anymore. I used to write fan fiction. Yes, you've read it right, fan fiction. Back in my junior high to high school days, I would waste hours in front of my desktop computer in my bedroom, craft plots about my favorite "fandoms" (Harry Potter and some TV shows/novels), read other fanfics, and have a ball with my fellow fans who are so into the fandom as much as I do. The rush you get when people like your fanfiction is indescribable. It makes you feel that you're not alone in this craziness, and there are a lot of unseen online people who share it with you. Getting lost in the world of fan fiction writing is so addicting and fun. But some things must come to an end. Along with my going away for college, I had to let go of some of my fangirl ways. I missed it for a while, but along with that, my mind cleared up and had lots of realizations. Not just with my fandom world, but with writing and life in general. 1. Good writing is always a must. Whether you're writing your class essay or your fluffy fanfic about Harry and Ginny, good writing with clean format and right grammar is always appreciated. A lot of kids these days don't really pay attention to the technicalities of writing such as these, and yet, these are a reflection of your writing skills. Whatever you write about, make it right and easy to read. 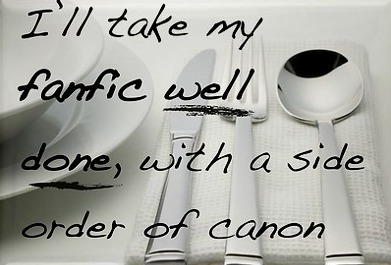 This will garner you more views for your fanfic/story and help you out in your future writing endeavors. 2. Give and take relationships. What I learned from fanfic writing is not to let it revolve around only yourself. Read other works and give good feedback. Most likely, they will come to your page and check out your stories as well. This is applicable with your high school friends as well. Learn to have a two-way communication of giving and taking, and these can make your friendships a success. It's more about bonding and showing compassion, more than what you can get from each other. 3.Once in a while, go out. There's more to life than getting caught up in the world of fandoms and fanfic writing. It doesn't hurt to log out of the computer and go out. Make time with friends, do something else, or take a walk. This prevented me from getting too obsessive with my interests, as it made me realize that I don't want to be that kind of girl who doesn't have a life of her own. Sometimes, you do fangirl because you feel bad or sad about something in real life. Fangirl for a while, but find ways to deal with your problems in a healthy way. So there you have it, some basic realizations and things that fan fic writing have taught me. Everything in moderation, as with anything else. The important thing is, you're having fun in a good and clean way while learning. My peers used to say that being seen with a pile of books beside you makes you a nerdy bookworm. I say otherwise, because reading can help you grow and fill up your mind. It doesn't make you a nerd at all (whoever said it is so shallow-minded). Rather, reading gives you a pleasant respite from the doldrums of daily life as you escape and enter a magical world. In this world, you can be anything you want to be, and experience beauty, suffering, and success along with your favorite character/s. I read to escape for a while. But I also read to help me deal with the realities of life. I read for the purpose of exploration without having to leave my room. I read not just to update myself with popular literature-turned-movies, but to see what the buzz is all about and what I can pick up from there. I read to inspire myself in writing about my own worlds. Creative writing doesn't only end with fan fiction. 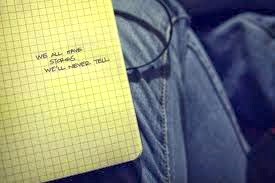 Write your own story, and see how far you can take it from there. Most of all, I read just for the sake of enjoyment. I read because of endless reasons. 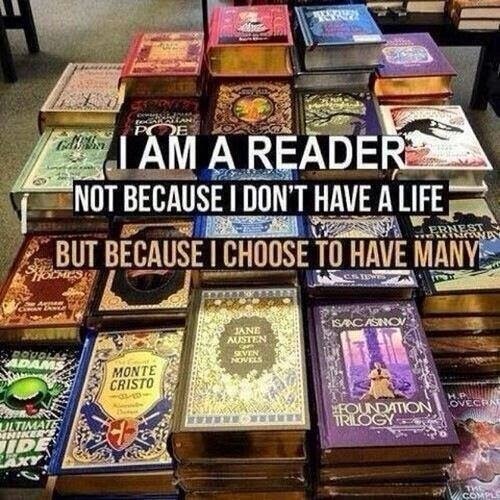 But most of all, I read because I love to.